Dominion Jewelers has been recognized as one of the premier fine jewelers in Northern Virginia for more than thirty years. We are known for our custom jewelry services and luxury, heirloom-quality pieces. 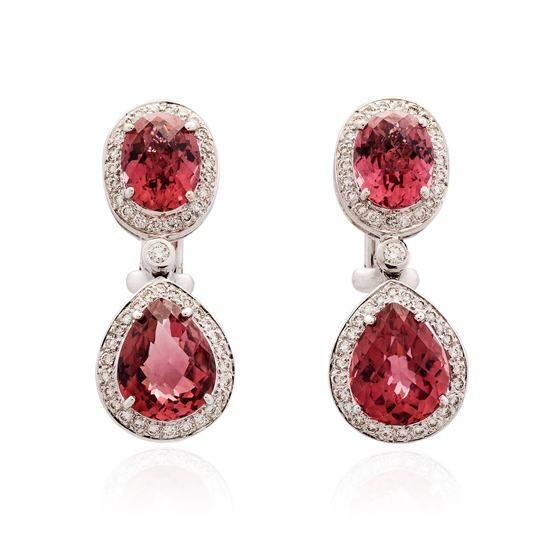 If you are looking for the perfect pair of earrings for yourself or for a gift, you need look no further than our beautiful showroom in Falls Church. Using a variety of precious metals and a rainbow of colorful gemstones, we craft exquisite earrings in every imaginable style. Our designs are creative yet enduring, wonderfully unique but also timelessly classic. Earrings, whether simple studs, delicate hoops, elegant drops, or lacy chandeliers, are arguably the most versatile and often-worn jewelry accessory, and many women own dozens of pairs. 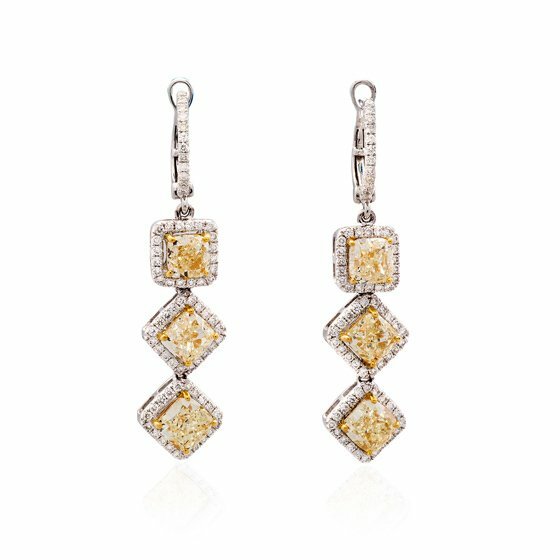 Whether you are browsing for a new pair to update your collection, or looking for a thoughtful gift, Dominion Jewelers offers an outstanding selection of earrings for any occasion. 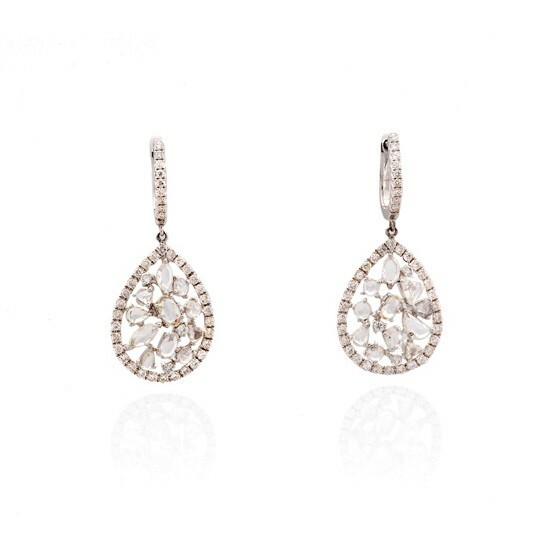 Classic diamond studs are quite simply the go-to accessory for virtually any occasion. A pair of diamond stud earrings adds understated elegance to your everyday look, with just the right amount of sparkle to complement any style. 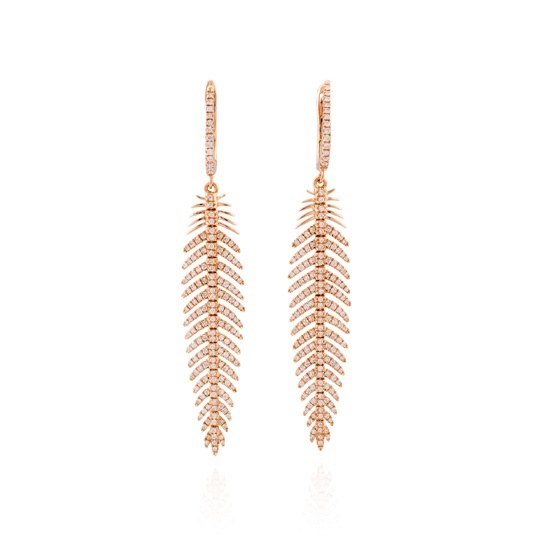 They can be dressed down, paired with a T-shirt and jeans for a casual yet polished look, or worn with the most elegant of evening gowns for subtle glamour. 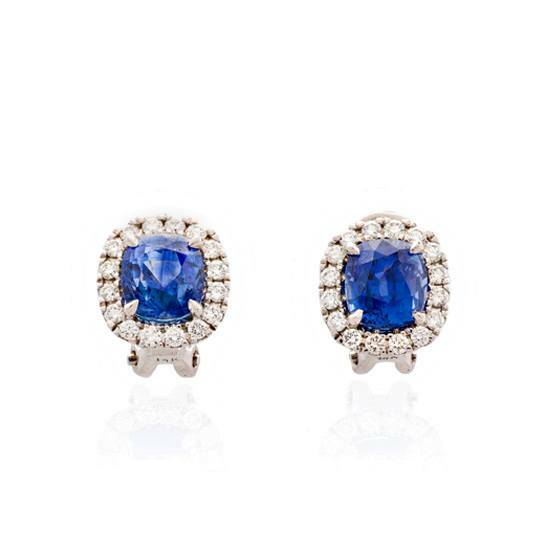 If you are looking for a gift that is sure to be loved, you absolutely cannot go wrong with diamond studs. Pearl earrings are another timeless style and are often selected as the traditional ‘something new’ for today’s brides. 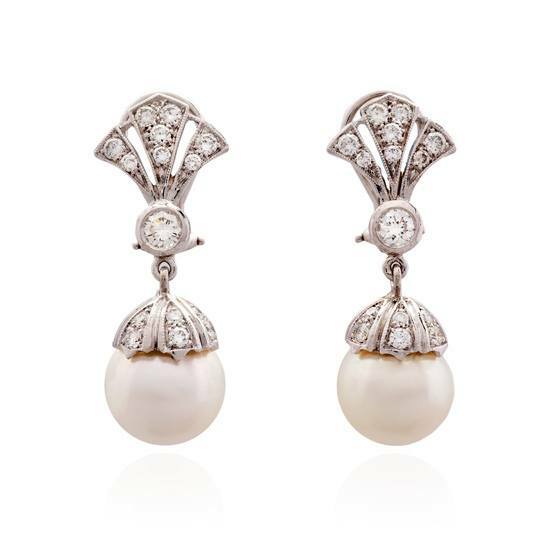 Creamy white pearl earrings complement any style of wedding dress, and become a cherished memento and a family heirloom to be treasured by future generations. Hoop earrings are available in many different styles and are the perfect accessory to reflect your personal style. For a put-together look for every day, choose simple white gold hoops, which can be found in virtually any size. 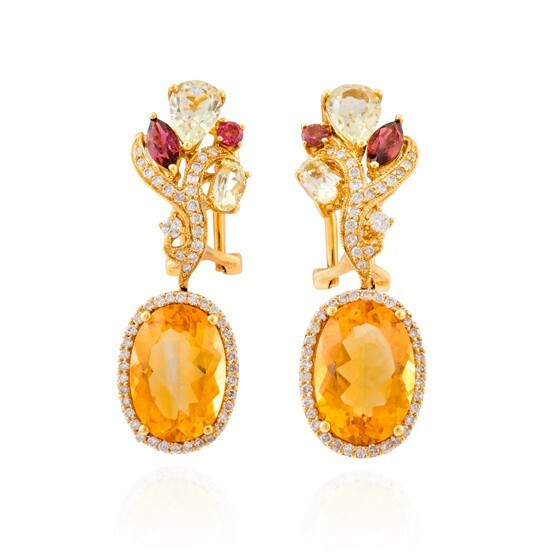 If your style is a bit bolder, go for a chunky pair in dramatic yellow gold to make a distinctive statement. For special occasions when you want a bit of dazzle, choose a pair of delicate hoops or close-fitting ‘huggies’, subtly studded with sparkling white diamonds. 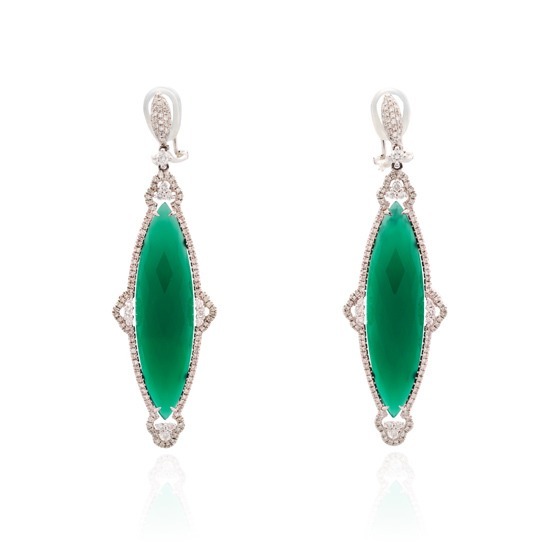 At Dominion Jewelers, we also carry a wide selection of gemstone earrings in a variety of designs, including classic studs and glamorous dangles. 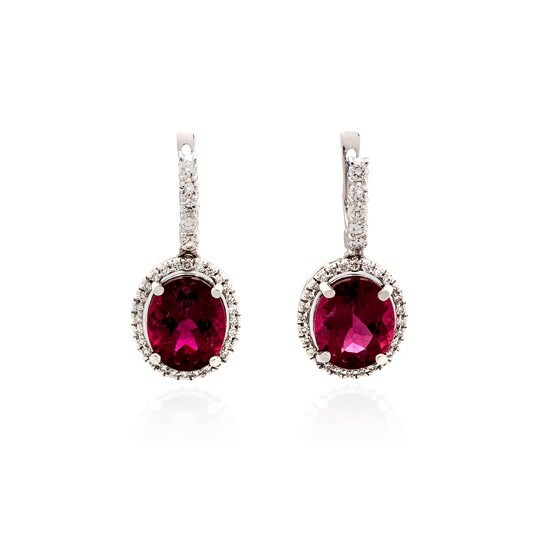 Add a pop of color to your collection, or choose a truly personal gift that incorporates a birthstone or favorite gem. If you can’t find the perfect pair in our store, Dominion Jewelers also offer custom jewelry design services, where you can work closely with one of our experienced jewelry consultants. We can help you select your preferred precious metal and brilliant gemstone to create something that is uniquely meaningful for yourself or someone special. 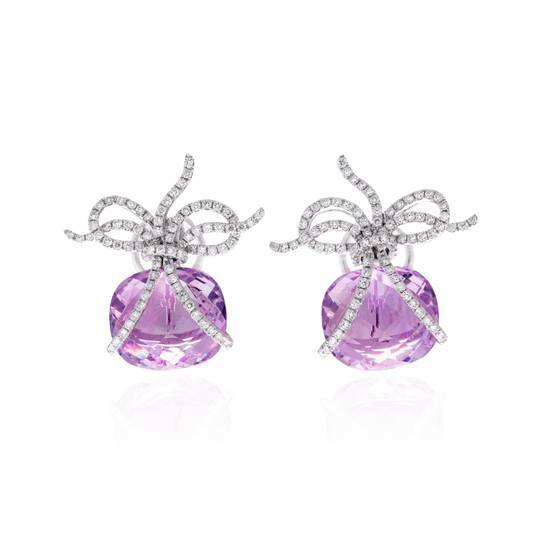 Many of our clients choose to enlist our design services when they are looking for earrings for a special gift or occasion because it gives them the ability to create exactly what they have in mind. Whatever your vision may be, Dominion’s designers can help you realize it. At Dominion Jewelers, we understand that jewelry is often given to celebrate and commemorate a special occasion or event in one’s life. For that reason, we make it our mission to offer an incomparable selection of luxury jewelry, using only the finest precious metals and exceptional gemstones. Designs like ours can’t be found at chain jewelry stores, and our custom design service is just one aspect of the personalized customer experience that you can expect at Dominion Jewelers. We are dedicated to providing the most superior materials and craftsmanship with the highest level of customer satisfaction. This twofold commitment sets us apart from other jewelers—and is the reason so many discriminating clients have made Dominion their only source for fine jewelry. 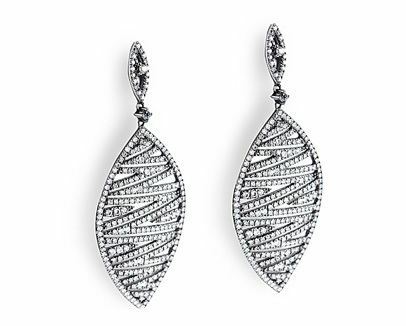 To learn more about how we can help you find or design the perfect pair of earrings for yourself or someone you love, make an appointment with one of our professional, knowledgeable designers today. 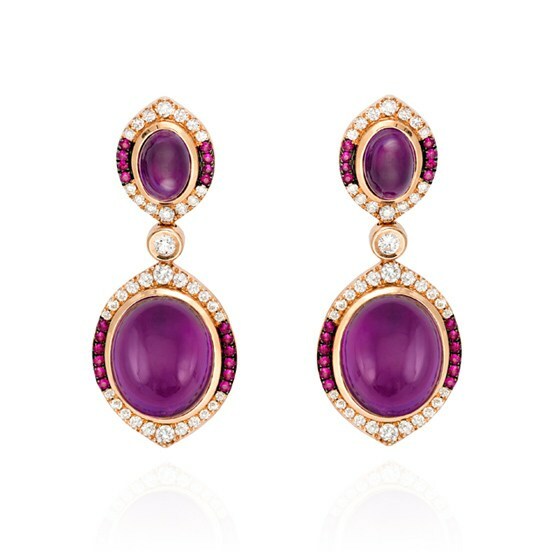 We also invite you to visit our store and browse our impressive collection of classic and contemporary earring styles. You will see the beautiful difference that quality makes. We make beautiful jewelry, you make it yours. 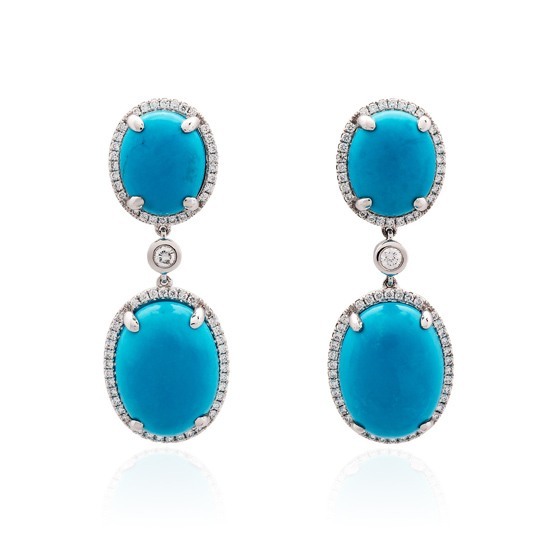 Partner with us to create one-of-a kind earrings for the loved ones in your life. Custom accessories carefully designed to showcase your love.